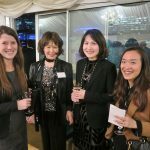 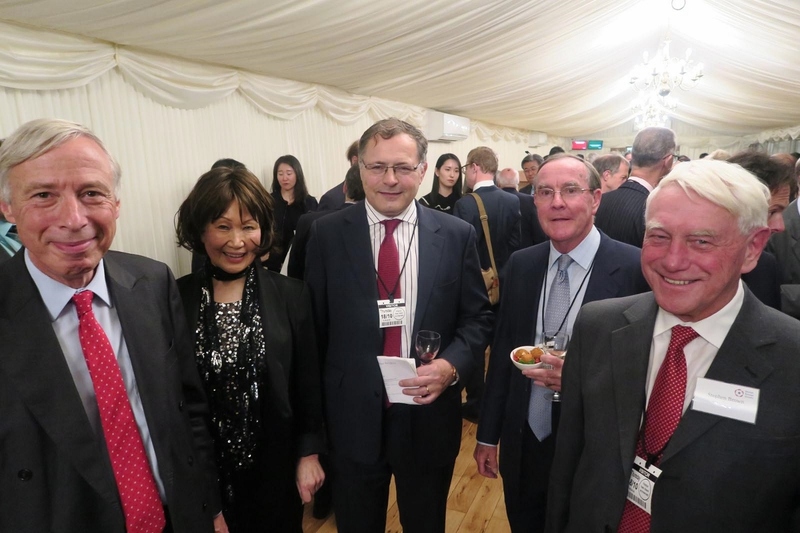 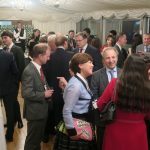 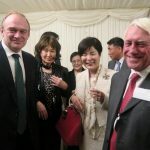 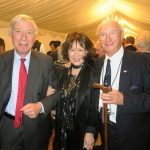 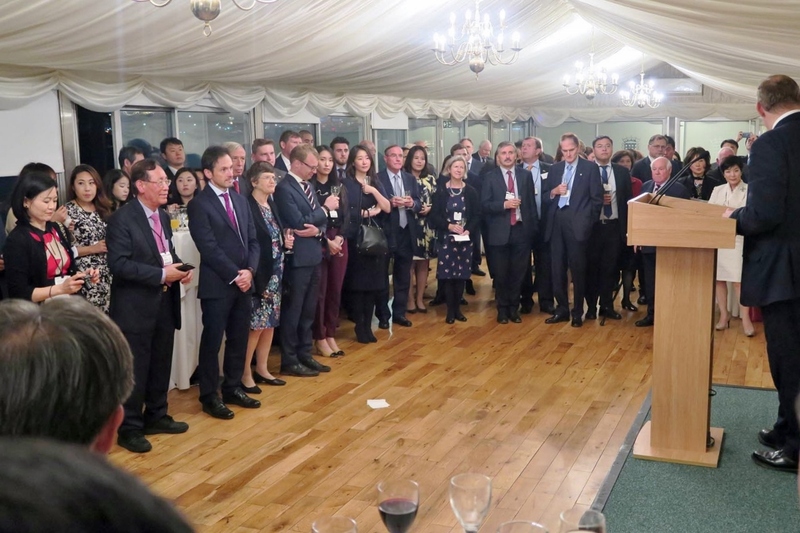 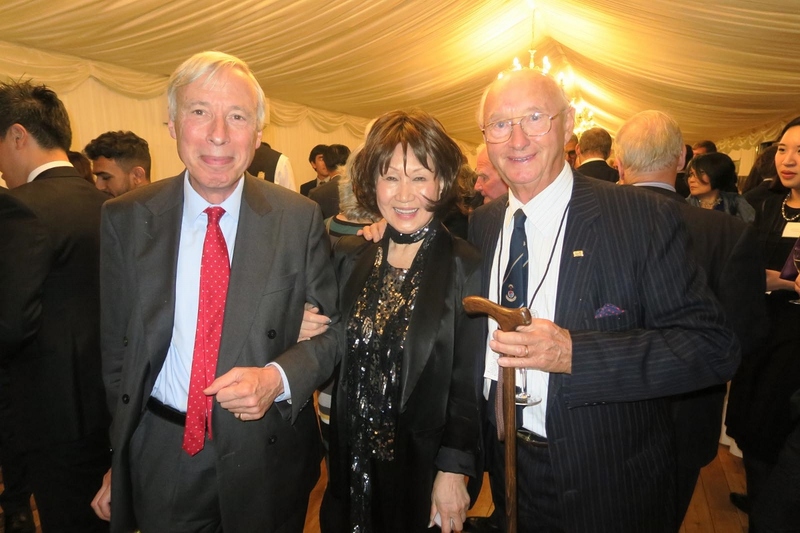 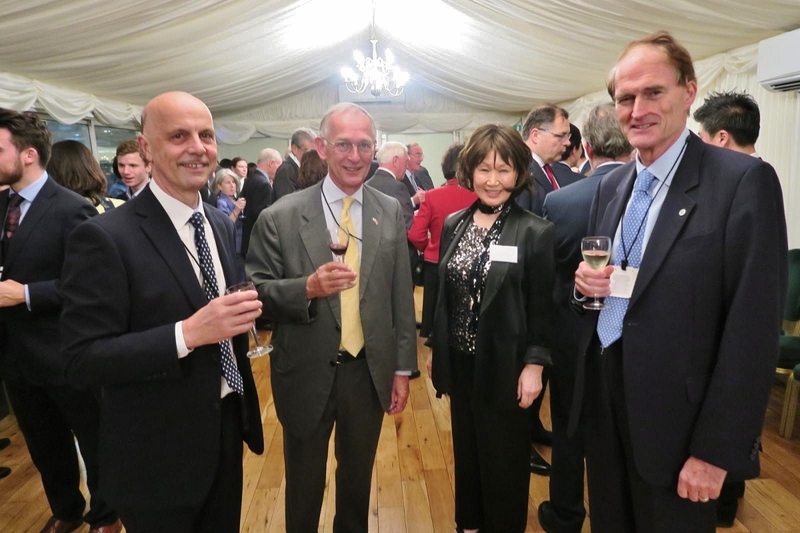 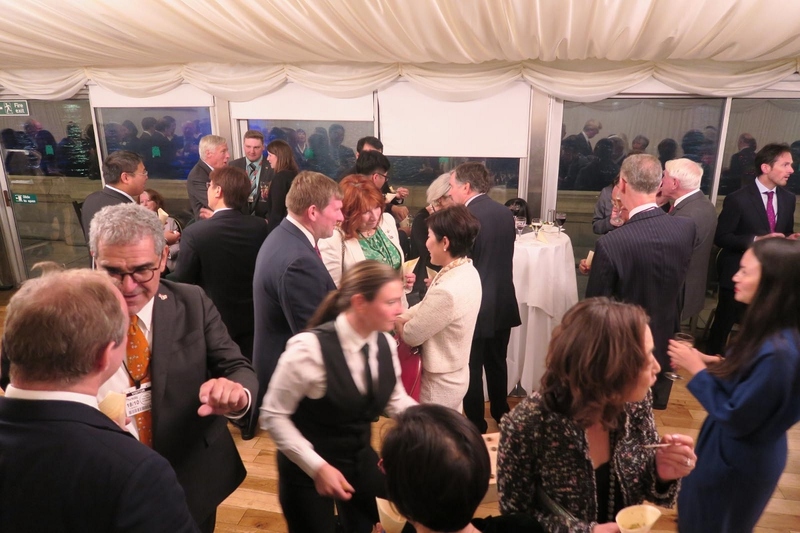 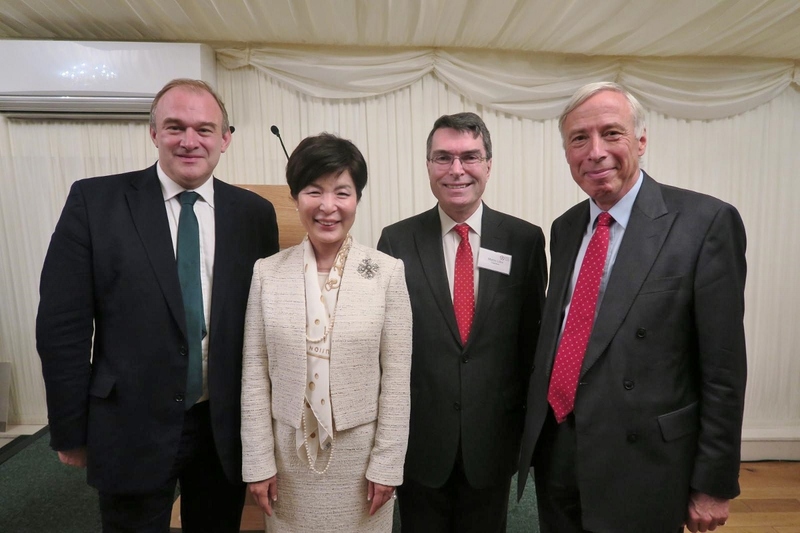 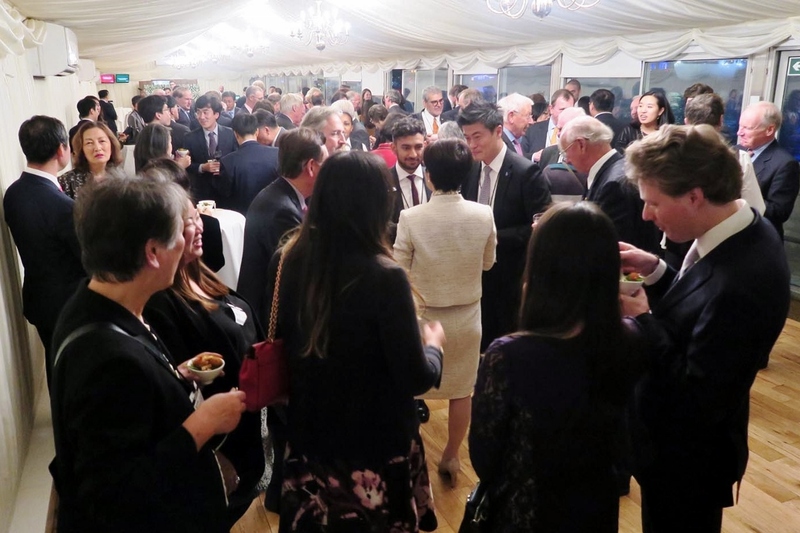 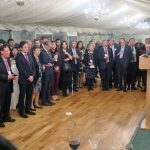 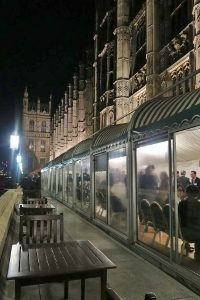 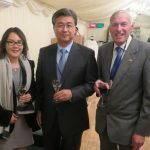 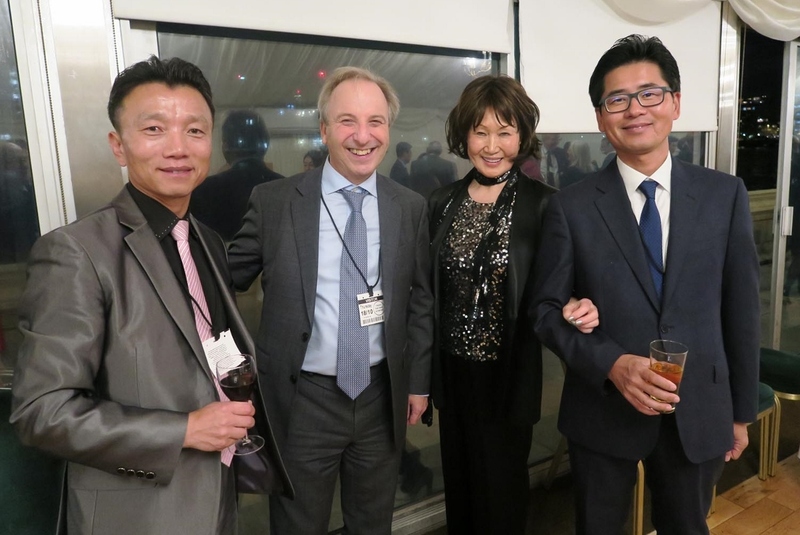 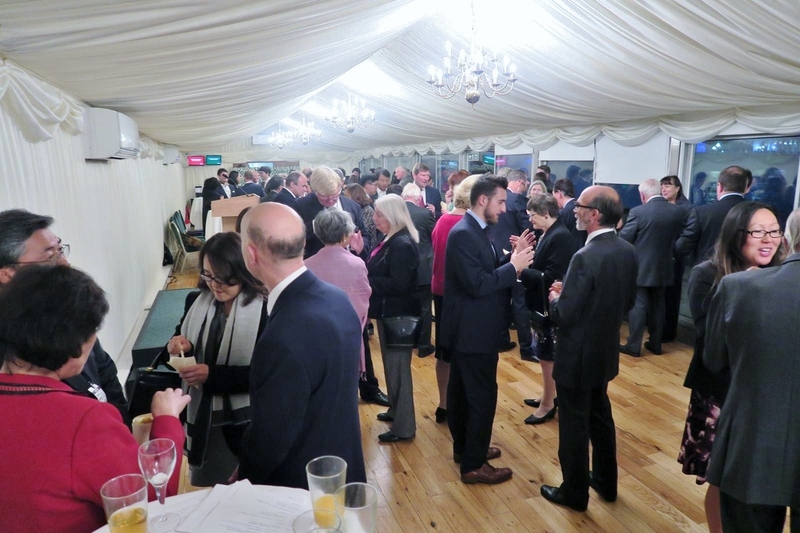 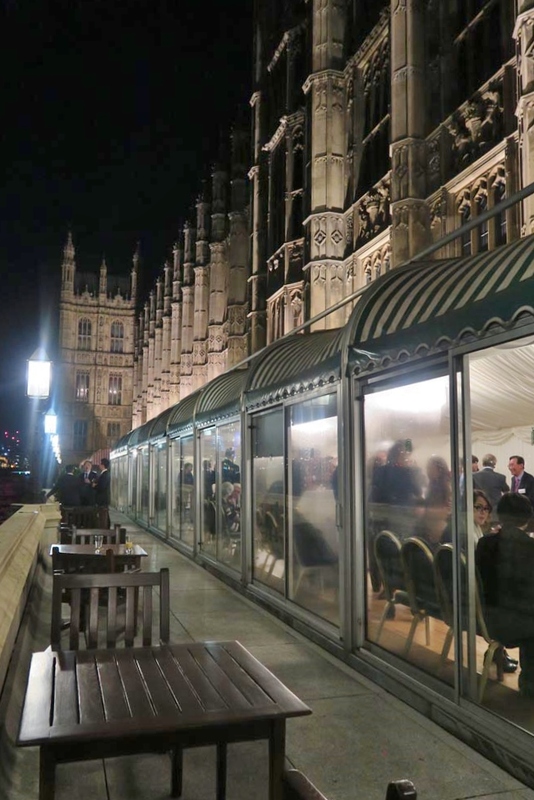 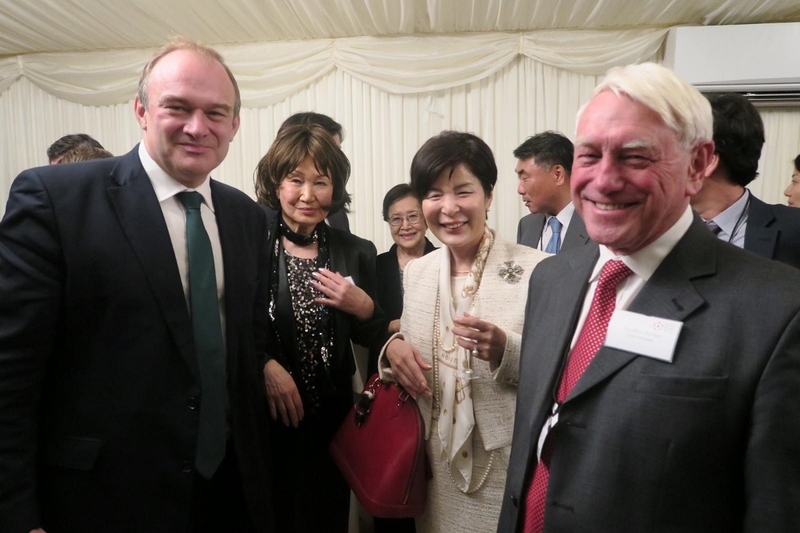 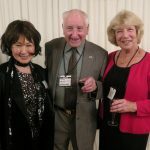 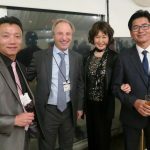 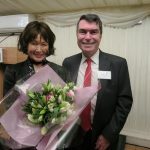 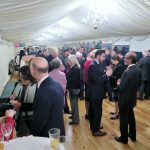 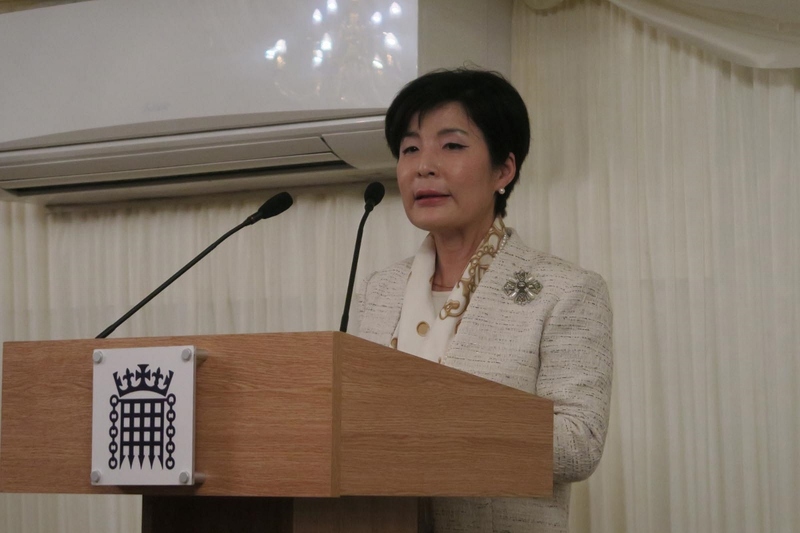 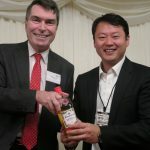 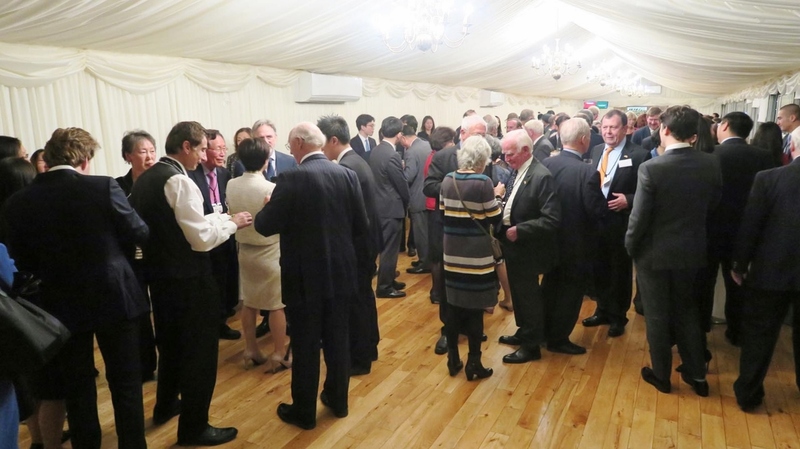 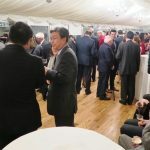 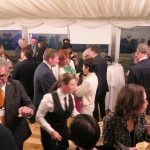 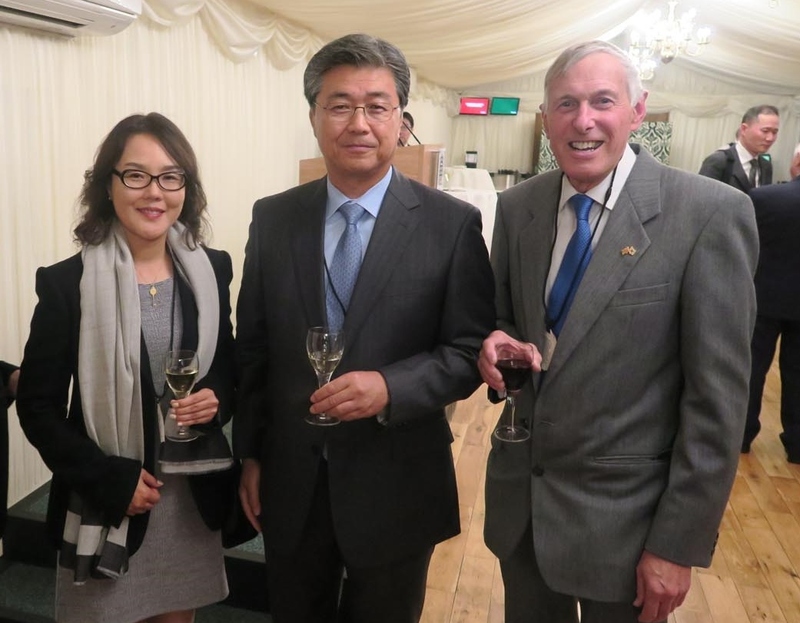 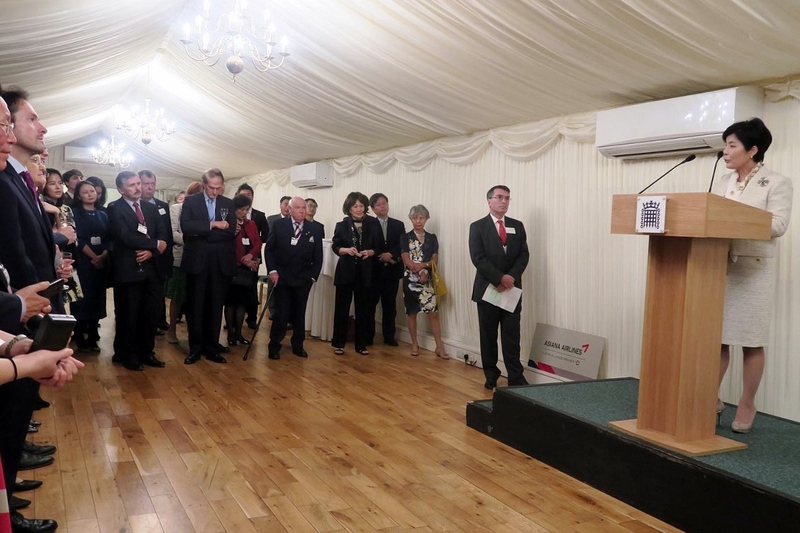 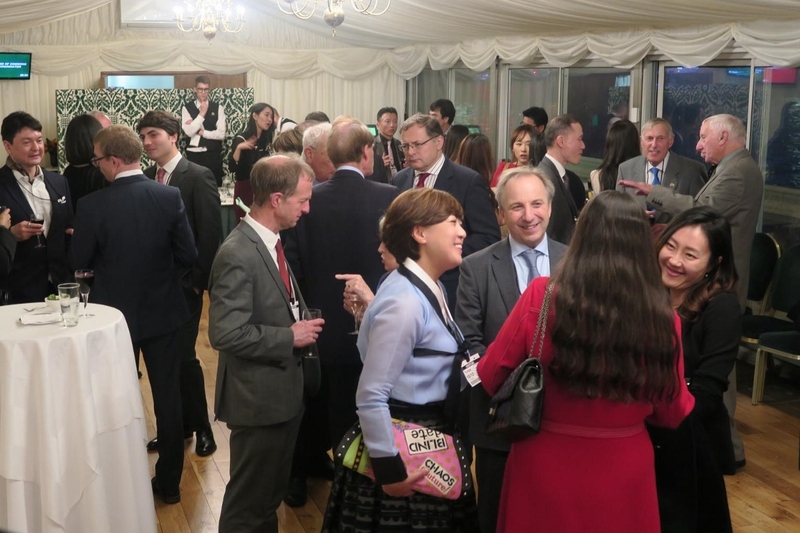 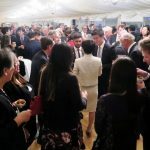 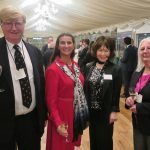 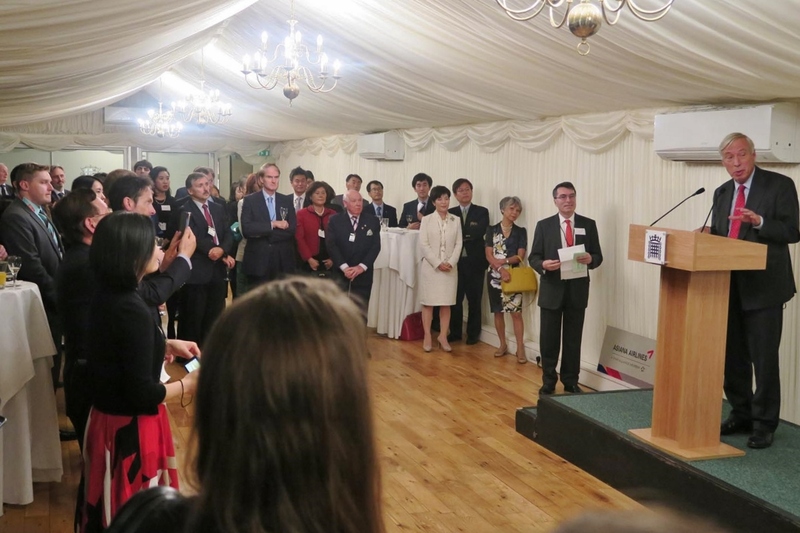 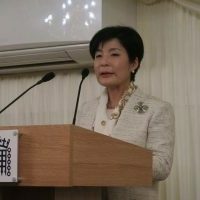 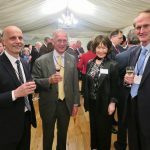 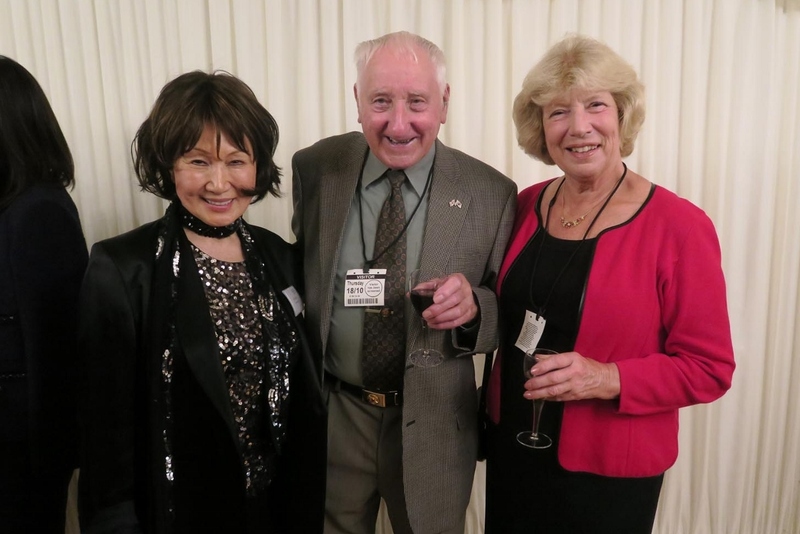 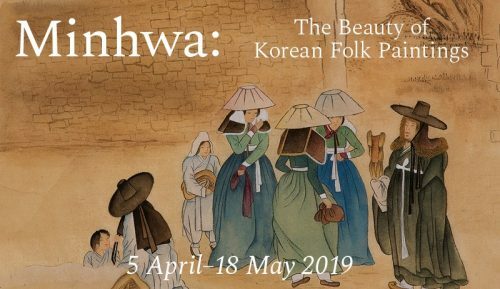 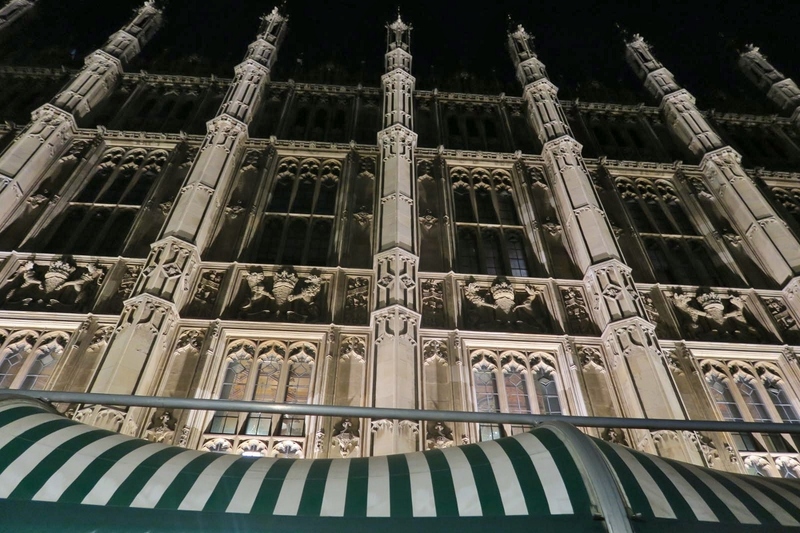 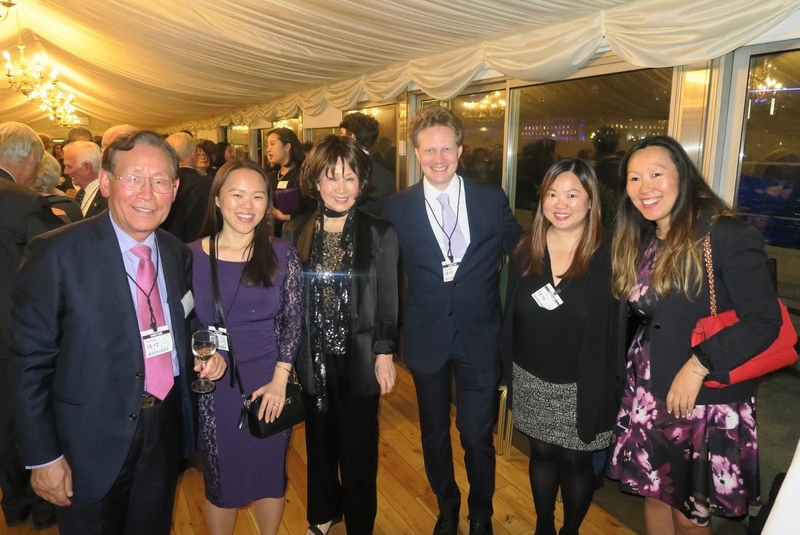 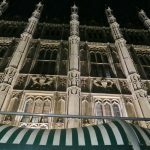 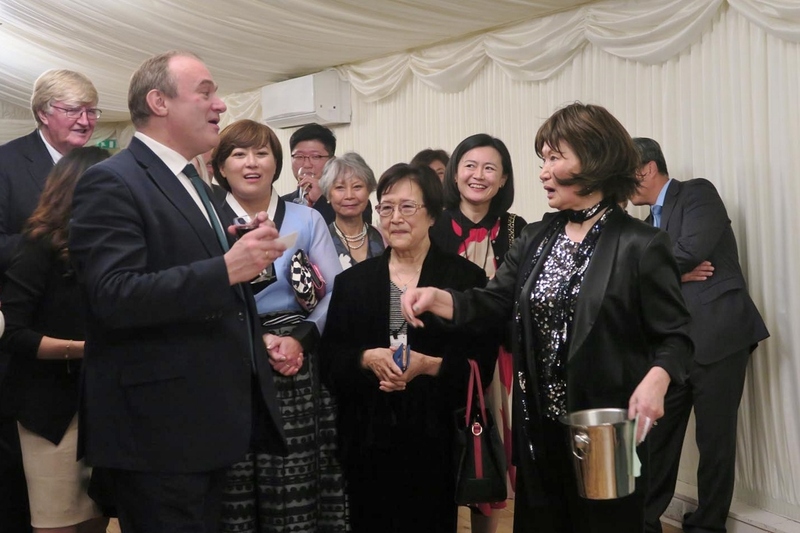 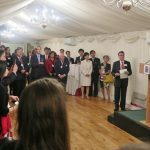 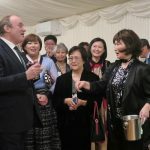 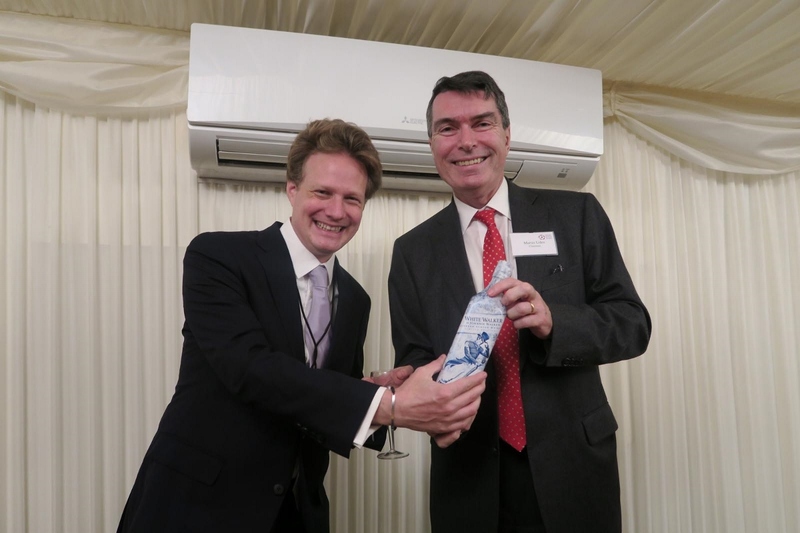 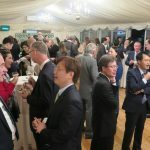 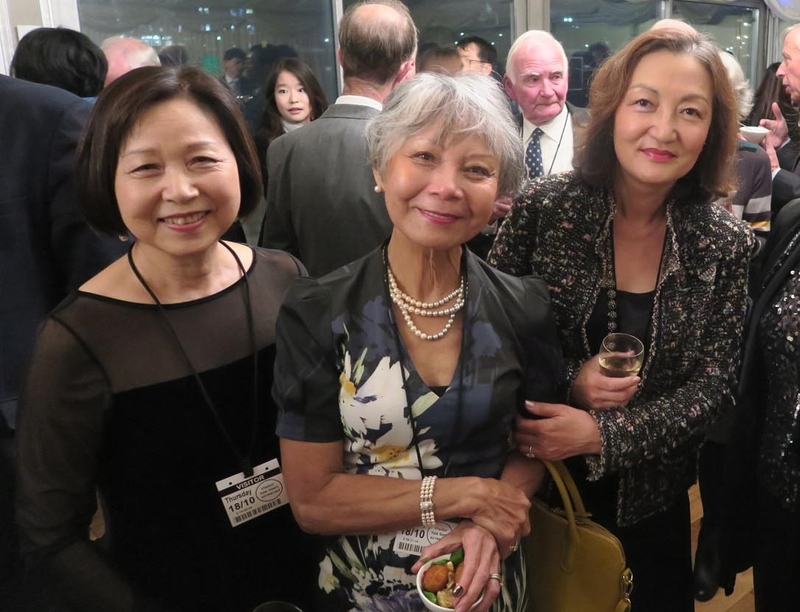 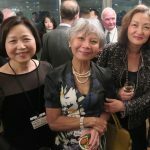 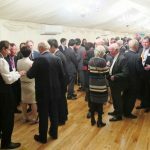 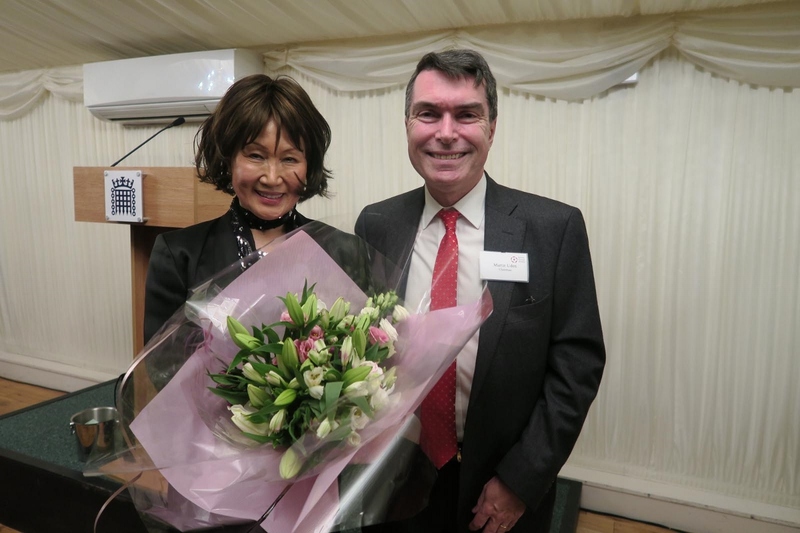 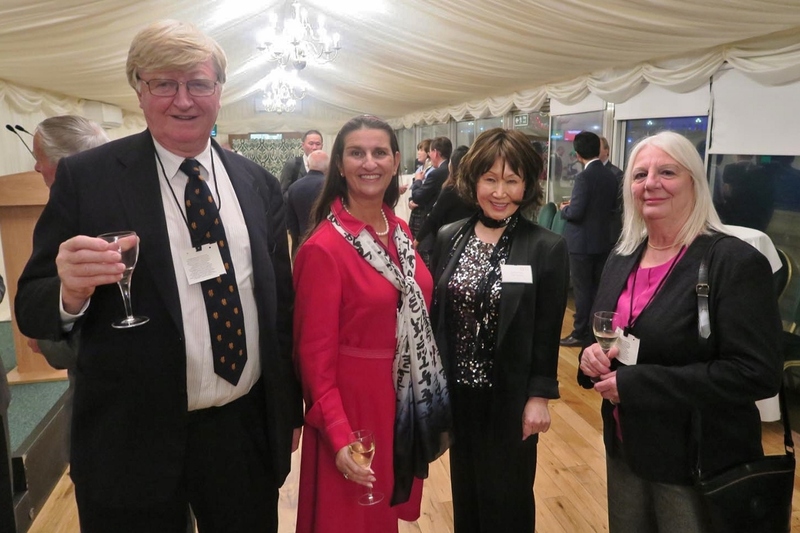 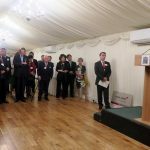 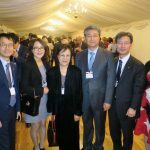 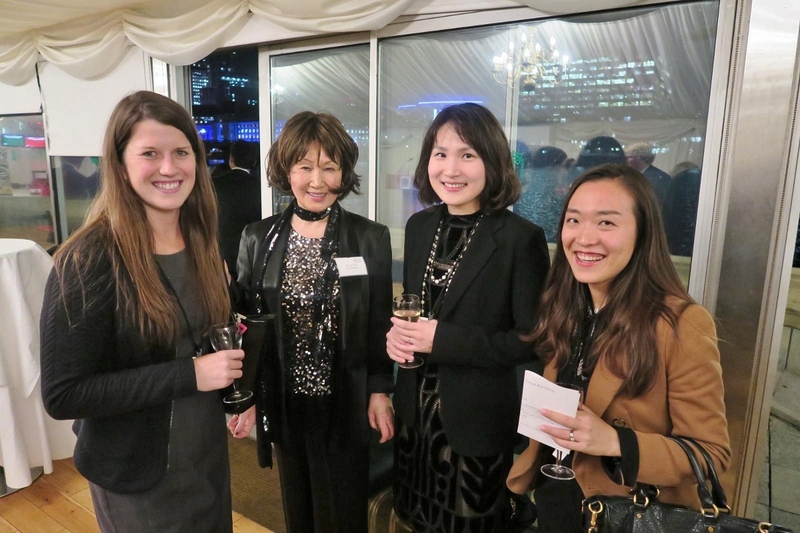 The British Korean Society held its Annual Reception on the Terrace Pavilion of the House of Commons on 18 October, and the decision to hold the event a little earlier in the year was blessed with a beautiful evening. 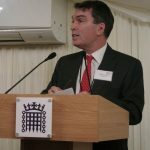 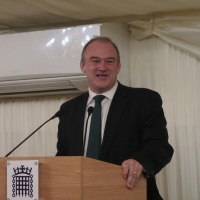 As in previous years, the Rt Hon Sir Ed Davey MP acted as host for the event. 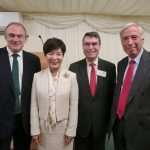 All the speakers mentioned the contribution made by the UK in the Korean War, which was especially appreciated by the British Veterans of the War who were present. 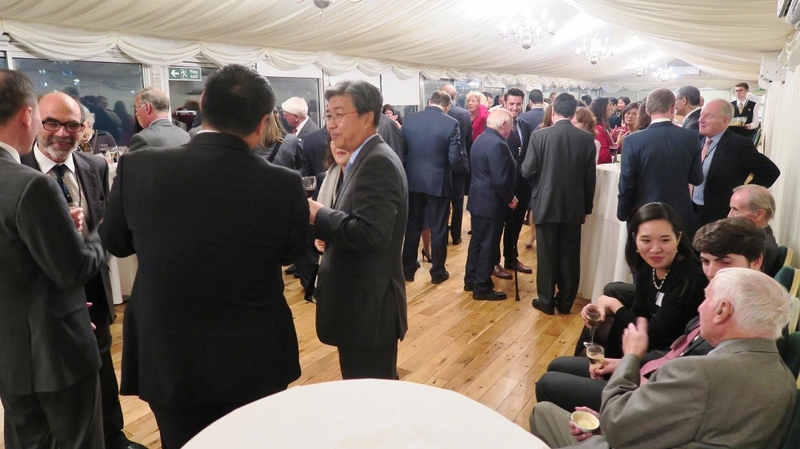 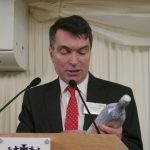 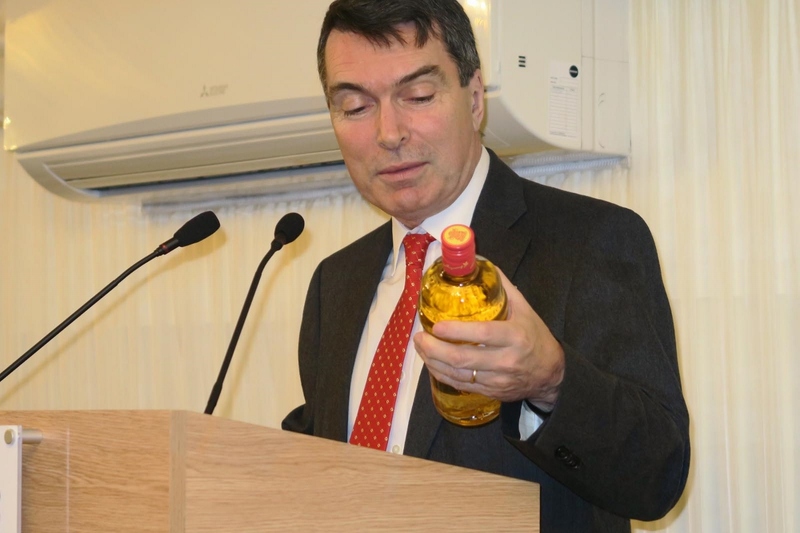 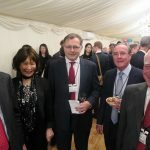 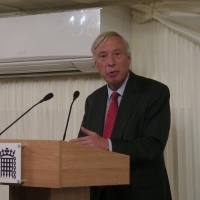 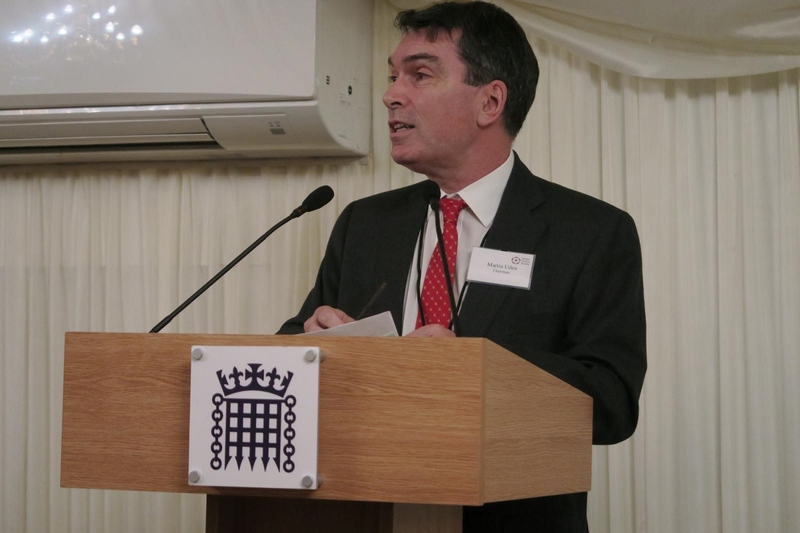 Among the other 110 attendees were five former British Ambassadors to the Republic of Korea, including the Society’s Joint President, Sir Stephen Brown. 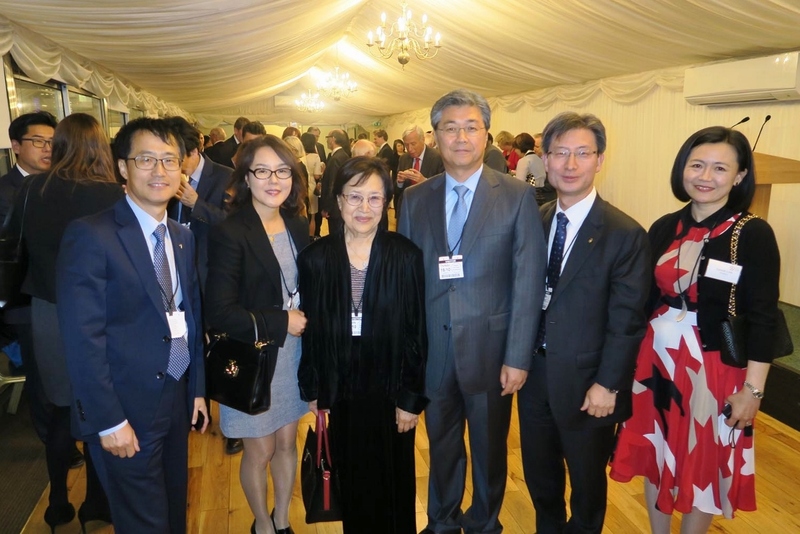 Alongside other diplomats, including from the FCO and the Korean Embassy, were representatives of KOTRA and the Financial Supervisory Service of Korea. 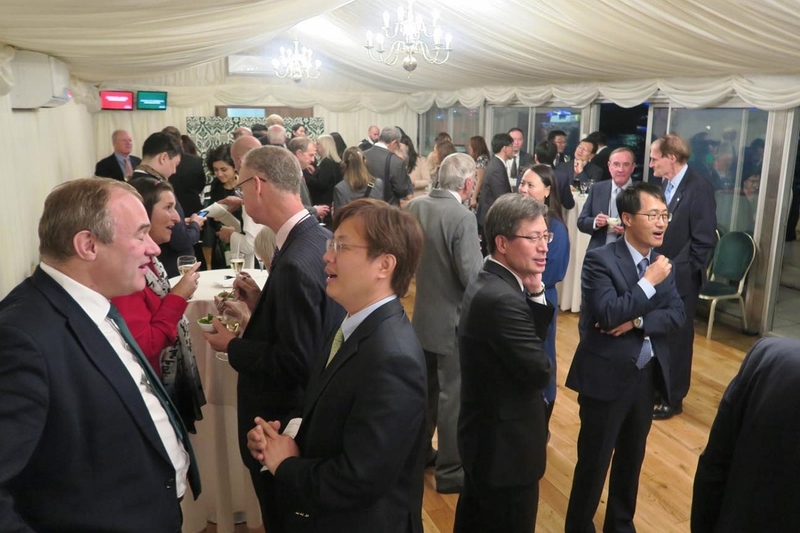 Financial services were particularly well represented by guests from HSBC, RBC, KPMG, JP Morgan, Northern Trust and Citibank, with other British and Korean guests from the cultural, legal, academic and commercial fields. 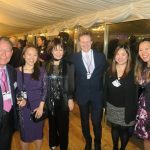 We were happy to see representatives from the Society’s sponsors, Samsung, and from Diageo and Asiana who both gave door prizes. 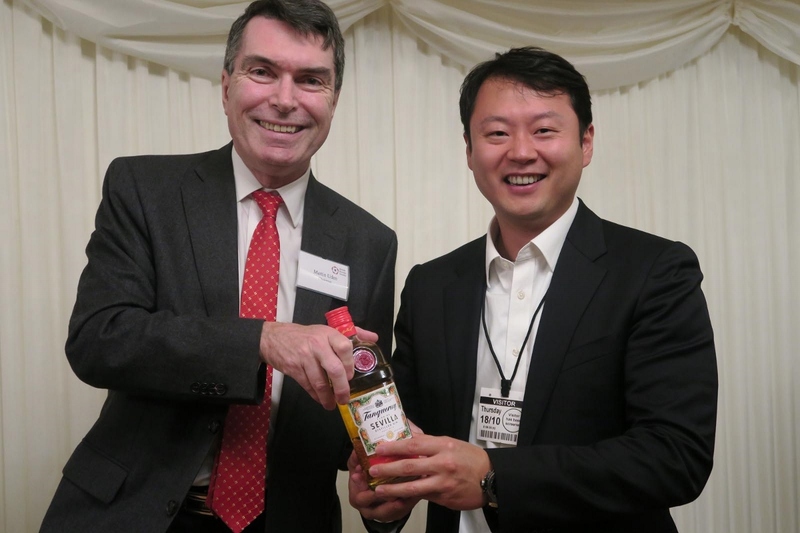 Bottles of newly-marketed scotch whisky and gin went to appreciative winners (one Korean, one British) and the generous prize of two return business class tickets was won by a former English-language teacher who spent five years in Korea: many friends for her to re-visit! 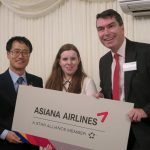 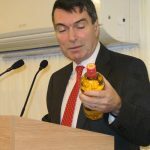 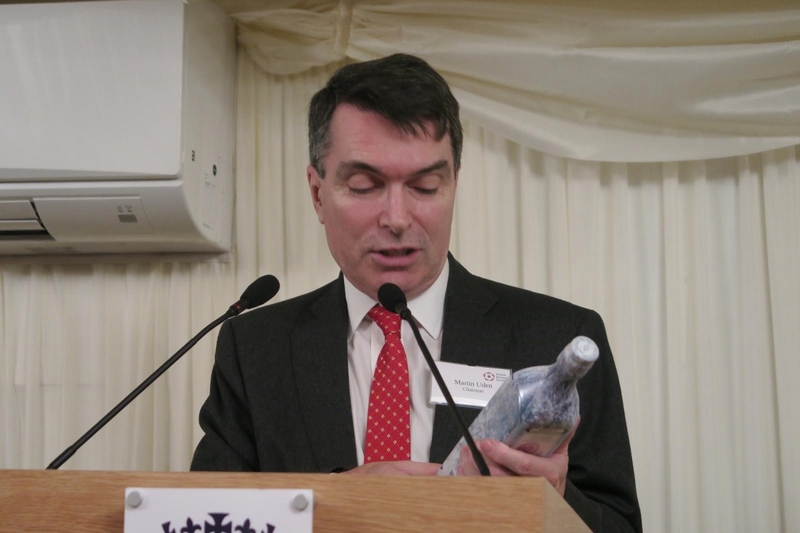 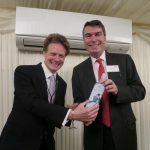 The Chairman, Martin Uden, told the audience that the new Korean Ambassador was very keen to see the growth of the Society, and the committee was equally keen to take up that challenge. 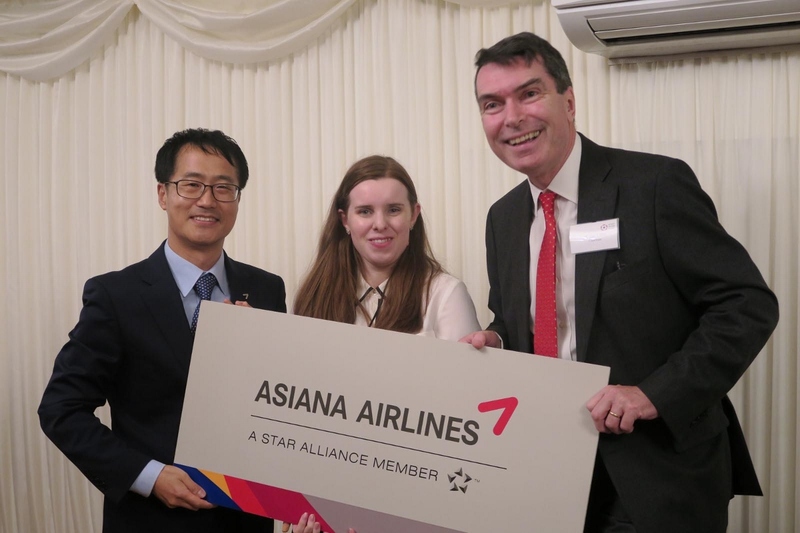 We would accordingly develop a business plan to enhance the work and ambition of the Society to contribute to the furtherance of UK/Korean relations and the interests of its members. 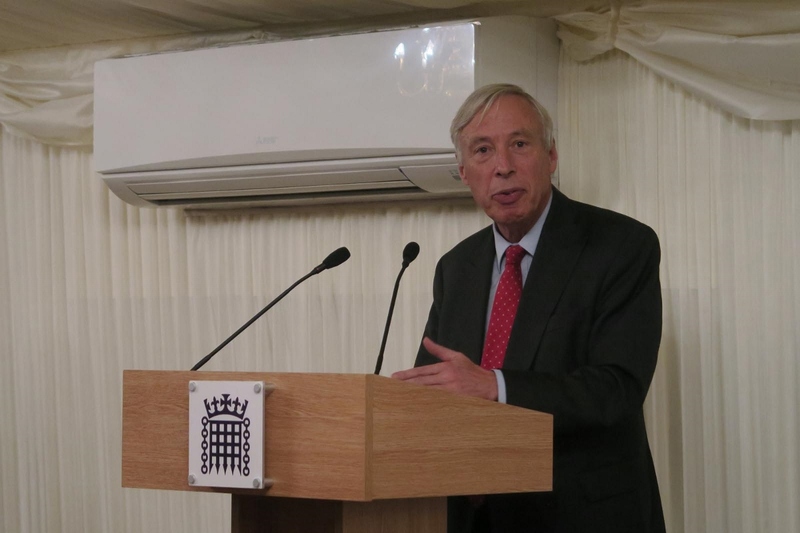 He also said that after some years of running down its balances, the Society also now needed to raise its subscription dues after many years of no increase. 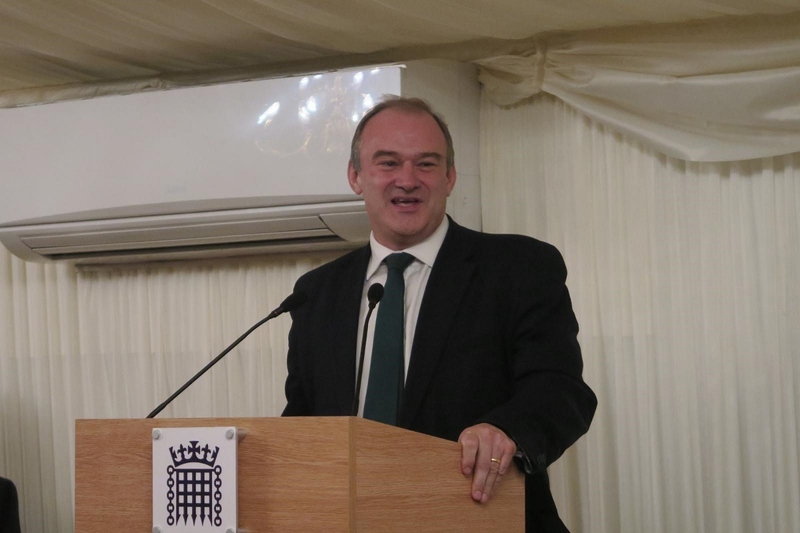 Sir Ed Davey draws his own name for the door prize!